Egypt’s prosecution challenged a Cairo criminal court’s Tuesday decision to release on parole jihadist Mohamed El-Zawahri. The long-time jihadist has not yet been released and his fate remains uncertain as the prosecution challenges his parole. Another criminal court division will confirm the decision. 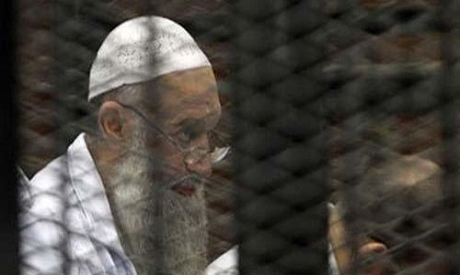 El-Zawahri’s release comes pending trial on a number of terror-related charges. A judicial source told Ahram Arabic website that the decision to release him on parole was due to his poor health. According to Judge Hussein Farid, the head of the Cairo Criminal court that released El-Zawahri, the defendant must show up to court every 45 days and remain under police surveillance. El-Zawahri, who is the brother of Al-Qaeda’s current leader Ayman El-Zawahri, is officially accused of joining a terrorist organisation – Al-Qaeda – as well as other charges including attempting to overthrow the regime and promoting radicalism. He was arrested in August 2013 on charges of belonging to a terrorist organisation. In October 2015, El-Zawahri was acquitted of operating a terrorist cell in what was dubbed the "El-Zawahri cell" trial, which included 17 other defendants, 10 of whom were sentenced to death for running a terrorist organisation connected to Al-Qaeda. In June 2011, a military court accepted El-Zawahri's appeal against the death sentence. The case was closed and the 63-year-old jihadist was released.